I like making up new worlds. That's a big reason why I love to write scifi and fantasy: I get to imagine everything about the world. But there's also a danger in getting to make up everything about a world. Laziness. Yeah, I know, it seems like the least lazy thing to have to make up the geography, history, demography, and thaumaturgy of a place (and it's not an easy task), but for my imagination it can be easier than having to fit the pieces of parts of a story into a world that already exists. Robert McKee in his book Story talks about the power of creative limitations. He compares limitations to the weights in a gym that offer resistance. The limitations might be harder to move, but the act of moving them, of working within them, pushes creativity. 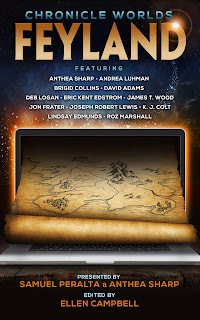 In Chronicle Worlds: Feyland I got to push against the weight of another author's world. Anthea Sharp has a series of books set in a near-future where there are hover cars, fully immersive virtual reality games, and a new game "Feyland" that becomes a portal to the very real land of Fairies. Since I've worked in technical support (and computer sales, and computer training, and computer repair, and writing about computers and software) I couldn't help but wonder what the help tickets must look like when someone accidentally falls into a mythical realm instead of a video game. I also wondered how people from different cultures would interpret the Celtic-Anglo land of Fey. The constraints of Anthea's world made me think of things that I wouldn't have considered otherwise. I researched the fairie-like legends of Africa and Asia, North America and Central Europe. I learned about the beneficial fairies that helped the Aborigines of Australia and the awful demons that preyed upon the people of India. I chose to set my story in a call center in India, partly because it has become such a cliche in tech-support circles and partly because I wanted a chance to look at the unique culture of India (in actuality many unique cultures) interpreted through the lens of Feyland. Ranjeet Nagar keeps getting odd support tickets that don't seem to have anything to do with the game and certainly don't comply with his script. He doesn't have a testing rig to be able to figure out what's going on and unless he can find one the demons that used to frighten him as a child will pour into his world with very real terror and harm. 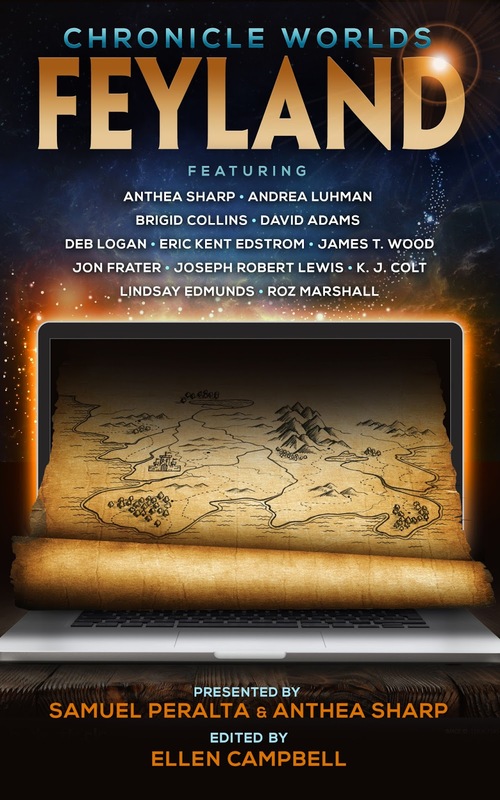 Read my story, "Tech Support" and eleven other fantastic tales set in the world of Feyland. It's only $0.99 for the launch (until July 6th)!